→Back Tension vs Thumb Release: What is the Best Way to Use Them? Both back tension and thumb releases make use of your thumb to execute the release. However, they use it in very different ways. With a back tension release, you wrap your thumb around the thumb peg (not a trigger!) so that you maintain the proper form as you draw your bow. Once you reach your anchor point, you remove your thumb around the peg, slowly build tension to your back by squeezing your shoulder blades, and wait for the surprise shot. With a thumb release, you do the opposite of this. You have to draw your bow first, then wrap your thumb around the trigger and slowly pull through until the jaws release the d-loop. You don’t have to squeeze your thumb against the trigger because this may cause you to punch your shot. Instead, you slowly adjust your form as the trigger presses against your thumb and you let your thumb act as a wall until your arrow fires off. 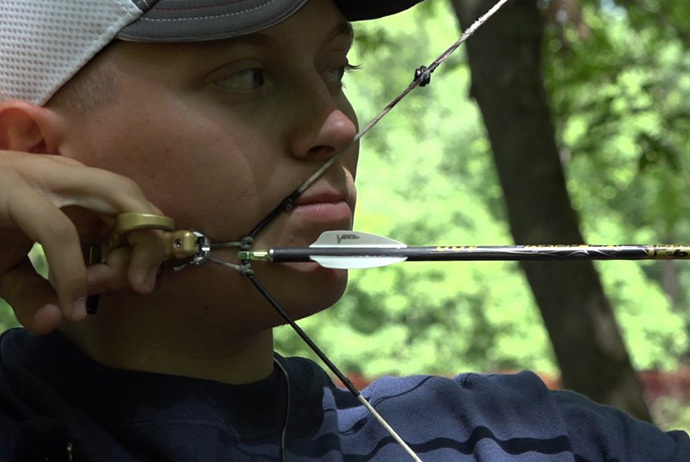 Many hunters prefer to use a thumb release for hunting because a back tension release requires you to have proper form. I personally like using my thumb release to shoot game animals because I need to stay relaxed to use a back tension release and it’s a bit hard to do that during a hunt. A back tension release, on the other hand, may be a great way to practice shooting your compound bow because it forces you to maintain good form to execute a proper shot. This may also be the reason why many seasoned 3D archers prefer a back tension release when competing in tournaments. I think that both the back tension and thumb release are good solutions to target panic. While they may not completely get rid of it, using either may certainly help lessen panic because of the element of surprise in each shot. However, I find that the back tension release provides more instances of a surprise shot than a thumb release because I can still somehow anticipate when the arrow will fire off when I use a thumb release. How Do You Use a Back Tension Release? To use a back tension release, place your fingers into the grooves and grip the release firmly. Hook the jaw into the d-loop and use the thumb peg to maintain the right angle you need to keep the jaw in place. Carefully pull your bow until you reach your anchor point. Once you reach it, remove your thumb from the thumb peg. Then squeeze your shoulder blades and allow tension to form in your back. When this happens, the hinge of the release rotates, the jaw lets go of the d-loop, and you get your surprise shot. To use a thumb release, place your fingers into the grooves and hook the release’s jaws or open hook into the d-loop. Then place your thumb behind the trigger and carefully pull the bowstring until you reach your anchor point. After you reach your anchor point, move your thumb and wrap it around the trigger. Slowly adjust your angle—either by tilting your hand a bit or by creating tension on your back—and keep your thumb steady so that it will act as a wall or barrier against the trigger. Once the release reaches the optimal angle, you will then get your surprise shot. 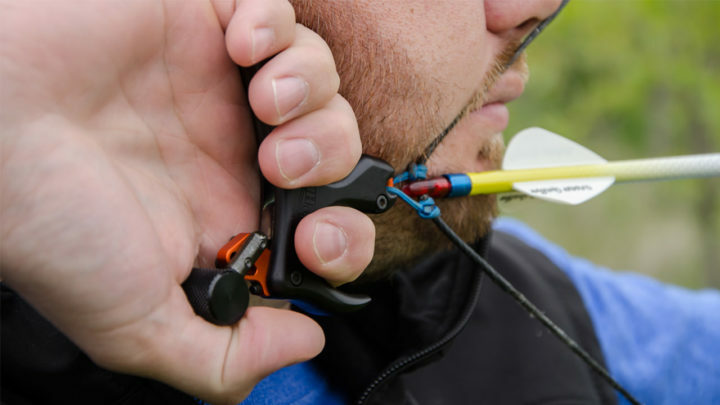 Although many bowhunters prefer using a thumb release when hunting, you shouldn’t feel pressured if you think that using a back tension release will help you become a better shot. It really boils down to your shooting style and your reaction to target panic. 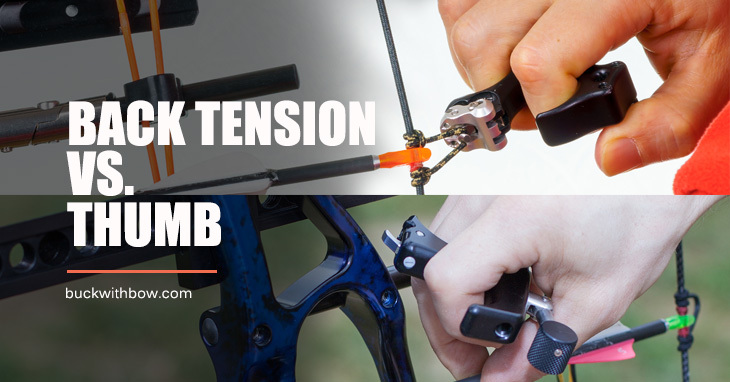 If you do choose a thumb release for your hunting trips, you can still use a back tension release to practice your form. And remember: It works well for 3D archery, too! Did this article help? Leave your comments in the comments’ section below. I’d love to hear from you!